Hayley and her team opened the Indulge cafe in December 2008. The business has grown organically, eventually requiring The Indulge Chocolate Lab to be opened in September 2015, allowing a separate production area and room for the monthly Food Fossickers tour. With a background in food production, Hayley has and continues to study chocolate making under Australia’s ‘Queen of Chocolate’ Kirsten Tibballs from Savour Chocolate & Patisserie School. After years of working with chocolate, she still loves biting into a nice piece of dark chocolate at the end of the day! The Indulge range is added to constantly, with The Indulge Chocolate Lab operating six days a week, specialising in moulded chocolates and chocolate bars, all made with Belgian Callebaut chocolate, sourced ethically from around the globe. 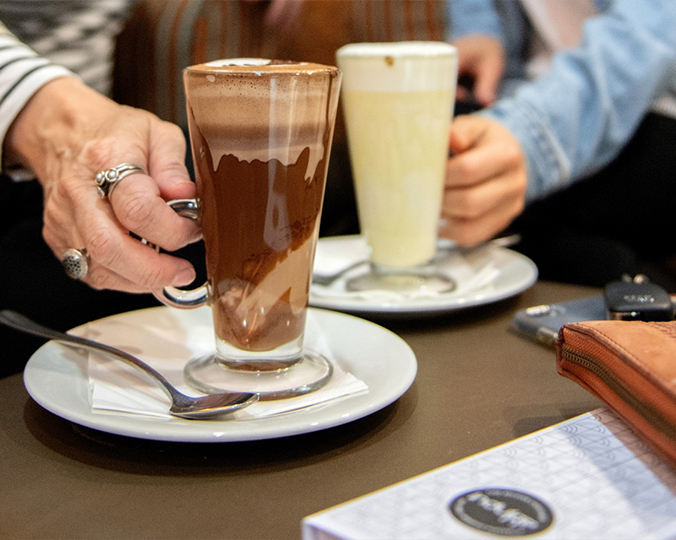 More recently Indulge have partnered with local producers, including Pyramid Salt to create a smoked salt chocolate bar, Pink Muesli to create bars and easter eggs, and the award-winning Shiraz Voigner from Turner’s Crossing. The team at Indulge also love working with corporate partners and can make various options to suit your requirements.